A Standard Variable Rate (SVR) is the type of mortgage interest rate that your lender is most likely to put you onto when any introductory fixed, tracker or discounted deal comes too an end. As the name suggests, when you go onto a SVR your monthly repayments can go up or down depending on changes in interest rates. When the Bank of England raised their base rate by 0.25% in August of last year, so too did many people’s repayments if they were on an SVR. If you have noticed that your monthly mortgage repayments have increased recently then we would strongly urge you to contact us today to secure yourself a better rate by locking in a mortgage deal. 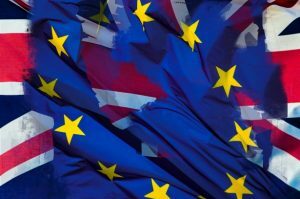 With next week’s potential Brexit finale on the cards, the country, is still unsure of exactly what the outcome will be on, or after, the intended exit date of the UK from the EU on Friday 29th March. In light of this ongoing uncertainty and the state of urgency which is now being felt by business and finance institutions it is impossible to yet determine where the rate of interest will go over the following months or years. Though we have seen no down turn of people buying property at One 77, we would consider it wise to at least review your current mortgage product if you are in any way nervous about the outcome of the government’s ongoing negotiations. As many remortgage offers only last for between 3 to 6 months it may be possible to get a great rate now – even if your current mortgage is not coming to an end until next year. There are many competitive products on the market and with access to more lenders than most, your One 77 adviser will be best placed to guide you through the process. In all, now could be the perfect time to remortgage your property. To find out more, or if you are still unsure what is the best for you, then call our specialist remortgage advisers on 01249 474952 or complete the form below and we will be in contact at a time to suit you.